We see others struggle and we know that we can too. Others work hard, sweat and cry as their trials test them to the point where they either break or triumph. When we see those conflicting forces collide in one person, we see true human strength and we can see just what is possible. We can see that we are capable of accomplishing and overcoming so much. Admittedly there are a few forces that can get us down, but even submitted, we are designed to struggle to right ourselves. Our struggling will make us stronger and toughen us up, in the way walking barefoot all summer long toughens ones feet and makes them more efficient tools for travel. So should we take the easy road, or should we look to follow the pain? This desert dweller points the way – the painful, full of feeling way. In pain we truly feel our abilities and we call upon the iron forged deep inside, the part of us that stands for our core values and beliefs. Somedays there may be thorns in our feet, blinding sun in our eyes and dust in our lungs. But what we do is stride purposely forward, glare with intent and keep breathing, keep shouting, keep laughing until we yell loudly in pure triumph. 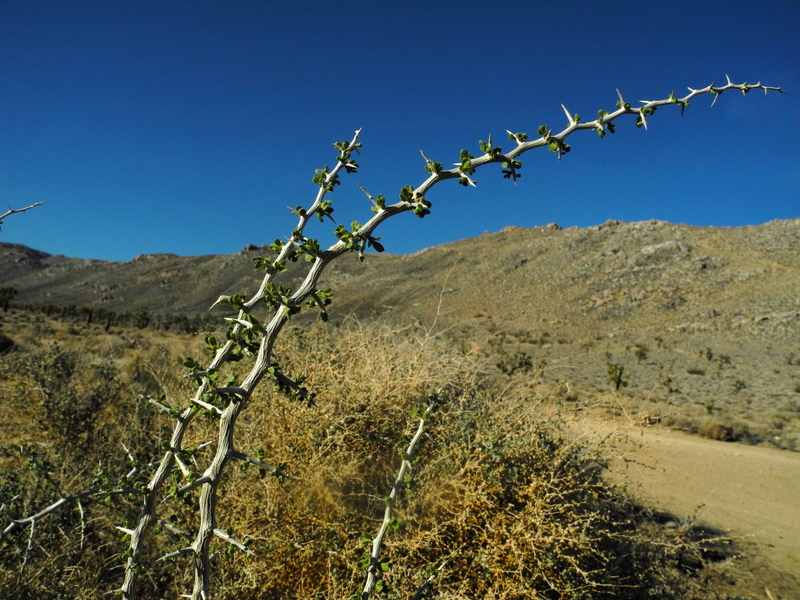 Desert weeds have strong stories to tell. Thank you dear brave one, adorned with thorns, for pointing me in the right direction.